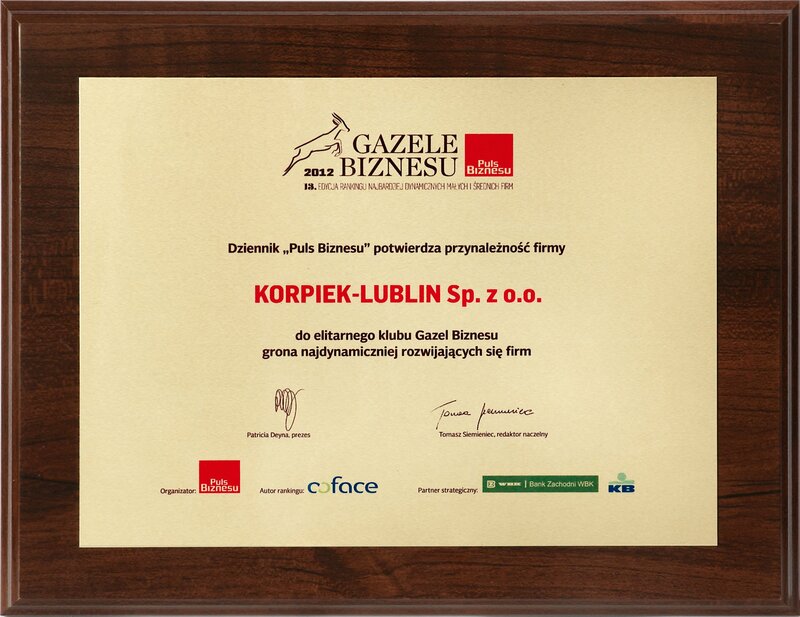 KORPIEK - LUBLIN S p. z o.o. sprzedaż i dystrybucja surowców, materiałów i narzędzi dla Piekarni, Cukierni, Lodziarni i zakładów gastronomicznych, promocje. Welcome to “KORPIEK – LUBLIN” Sp. z o.o (LLC) website. The Company was set up in 1998 in Lublin and from the very beginning has dealt with the distribution of raw materials, semi-finished products and equipment for bakery, confectionery, and ice-cream shops, as well as gastronomic institutions all over the country, with particular focus on central—east part of Poland. With our rich professional experience and stable position on the market, we aim to optimise our distribution process, bearing the brunt of a complex customer service. The satisfaction of our customers is the priority for us; therefore, as a part of our development strategy, we are constantly improving the quality of our services. To implement this at the highest level, we have engaged the latest IT system, have specialised transport with a professional storage back-area, a team of experienced traders and stable business relations with our suppliers. All these factors constitute an excellent base to meet and fulfil the requirements of our customers.